Business cannot prosper in a community that fails. Communities fail when business doesn’t produce the wealth required. The Impact Awards delivers economic benefits to South Australia, by showcasing globally competitive companies, connecting the leaders of those companies with proven world beaters, to help accelerate Gazelle-class companies. Supported by passionate South Australian leaders, business identities and influencers acting as Ambassadors, the Impact Awards is creating a home-grown solution to produce profound benefits for all South Australians. This is not a networking event. And it is not about start-ups. It’s a foundation for collaboration between South Australia’s authentic and proven business community, made up of ambitious leaders who recognise the key to the State’s prosperity lies in being globally competitive. There are many ways you can get involved with the Impact Awards, as a volunteer, Ambassador, nominating, sponsoring or helping to foster more collaboration. The main point being, as a small community, in a small isolated market, greater prosperity only comes with greater collaboration between all of us who care. Attach your brand to South Australia’s prosperity and gain exceptional value. Meet the companies primed for profound growth due to world class capabilities. Find out more about attending or participating. Leading South Australian business and research identities are coming on-board as ambassadors for the Impact Awards. South Australia’s business leaders and influencers have united in a unique effort to rapidly accelerate the economy’s globalisation to meet the increasing competitive pressures being applied to this small, high cost economy. Their goal is to exceed $1 Billion of new economic value within 5 years. Acting as ambassadors for the Impact Awards, South Australia’s leading internationalists are helping local companies with globalisation. By mentoring, providing access to networks and setting a strategy to generate significant economic benefits; the goal is to ignite abundant local technology and innovation to have more global impact. Managing Director at Rheinmetall Defence Australia. Founder of Sydac and Chairman of the South Australian Training & Skills Commission. Angel investor and Co-Founder of Humense, an Australian company creating platform and tools for volumetric video creation/sharing for augmented and virtual reality, including holographic telepresence. A strong background in broadcast media, business management, growth, strategy and operations. Amber was winner of the 2015 "Women in Innovation and Technology" award, SA. Current board member for Orana, and previously CEO for Fielders and Philmac, with various directorships in industry and not-for-profit. Former Premier of South Australia, 1993 to 1996. Chairman of Hillgrove Resources, Non Executive Director of Mission Australia, Non-Executive Director of Scantech and Chairman of Playford Memorial Trust. Seeley International founder and Executive Chairman. Order of Australia and South Australian of the Year 2011. Non Executive Director specialising in private equity and mergers & acquisitions. Global experience with defence, security and capital raising. Chair of the Advanced Manufacturing Council in Adelaide. Is a member of the Economic Development Board; the Council for Flinders University; and CSIRO’s Manufacturing Sector Advisory Council. ANZ Chair in Business Growth, Professor and Director, UniSA Centre for Business Growth. Jim is Chairman and co-founder of Nova Group, a company which has generated multiple companies and established global offices in the UK, EU and Singapore, rocketing into the AFR top 500. He is a former air force fighter pilot and test pilot, and is still very active in the defence sector. He also advises the Federal government on defence innovation along with sitting on numerous boards. Managing Director, BADGE Constructions Group. Chairman of MBA (SA) Industrial Relations Committee, Chairman of Aquinas College Inc. and Sacred Heart College Foundation, Chairman of MRS Harmony Property Group, Patron of the Hutt Street Men’s Shelter. Chairman of the CEO Institute. Chair at Adelaide Research and Innovation and Independent Director at Dairy Farmers Milk Co-operative. Past Managing Director of Sola Optical Australia. Managing Director Zonge Engineering, Director Liquid Integrity Systems, with various directorships in industry and not-for-profit. Global experience in geophysics and exploration. Founder and Director. Focused on premium food, Maggie has grown a global brand, by continual innovation, to create highly specialised manufacturing that meets her exacting requirements on quality and taste. Chief Executive Officer of Intercast & Forge since 2007. Previously Group General Manager of Home and Hardware Products at Hills Industries. Principal of Headland Vision, a Strategic Consultancy. Experience includes executive roles and directorships in a range of organisations from ASX-listed and start-up technology companies to the not-for-profit sector, primarily in health care and renewable energy. Member, SA Committee of the Academy of Technological Sciences & Engineering. 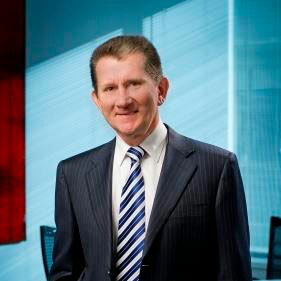 Former MD of Codan Ltd, member of SA’s Premier’s Science and Industry Council, and Director of various organisations. Chairman of Adelaide Central Market Authority and Director Business SA. Paul is a Design Thinker with global experience spanning hundreds of products in diverse sectors. His mission is to help inspire, educate and empower startups, micros, SMEs and Regional SA to rediscover their innovative power through the application of design driven business strategies throughout the entire value chain. CEO of KCL Property Development and Fund Management. Co-founded a Wireless Telco and m.Net 3G CRC. Supports local innovation & Tech Sector. Involved in Medical IT POCT and PALAMIR Big Data Analytics. Sheree Sullivan is the Chief Executive of Udder Delights Australia and owner of the Udder Delights Cheese Cellar. Under the expert guidance and fearless leadership of Sheree and her husband Saul, Udder Delights has grown to become a renowned and respected company across Australia, boasting a portfolio of brands, a bevy of awards, a celebrated cheese cellar door and Australia’s only license to produce raw blue cheese. Entrepreneur, Co-founder of YourAmigo and investor. Tammy is an Australian entrepreneur, businessperson and personal finance expert. She is the founding director of MyBudget, a personal budgeting service based in Australia that aims to help people take control of their finances through budgeting and money management. Tammy is one of Australia’s most influential business women and female entrepreneurs, and she remains passionately committed to promoting financial responsibility and helping everyday Australians to achieve financial freedom. Tim is a business advisor, investor and company director. Previous CEO of Quest Retail Technology generating annual compound growth of 30% from 1998 until the company was acquired by a NASDAQ listed organisation NCR in 2007 for over $60m. Chair of the CFS Foundation, Chairman of the Southern Adelaide Economic Development Board and Director of Archer Exploration. Past CEO of Mitsubishi and past Director of Australia Post and Intercast and Forge. Sign up with your email address to receive Impact Awards news and updates.